This smoke-free hotel has 8 floors in 1 building and offers discounted parking nearby. Amenities and recreational activities include offsite parking, bicycle rentals nearby, and hiking/biking trails nearby. Featuring free WiFi throughout the property, Atmosfere Guest House - 5 Terre e La Spezia is located in La Spezia, 500 metres from La Spezia Train Station. Rooms are equipped with a flat-screen TV and a private bathroom with a bath or shower. You will find a coffee machine and a kettle in the room. Free toiletries are provided. Certain rooms have a seating area to relax in after a busy day. Atmosfere Guest House - 5 Terre e La Spezia is 700 metres from La Spezia Harbour, with links to the UNESCO Cinque Terre National Park, while Pisa International Airportis is 85 km from the property. Make yourself at home in one of the 6 air-conditioned rooms featuring flat-screen televisions. Complimentary wireless Internet access is available to keep you connected. Private bathrooms with showers feature complimentary toiletries and hair dryers. Conveniences include desks and coffee/tea makers, and you can also request rollaway/extra beds (surcharge). Make yourself at home in one of the 6 guestrooms. Complimentary wireless Internet access is available to keep you connected. Private bathrooms with showers feature complimentary toiletries and hair dryers. Conveniences include coffee/tea makers, and housekeeping is provided daily. Make yourself at home in one of the 3 air-conditioned rooms featuring refrigerators and LED televisions. Complimentary wired and wireless Internet access keeps you connected, and digital programming provides entertainment. Bathrooms feature showers, complimentary toiletries, and bidets. Conveniences include safes and desks, and housekeeping is provided daily. 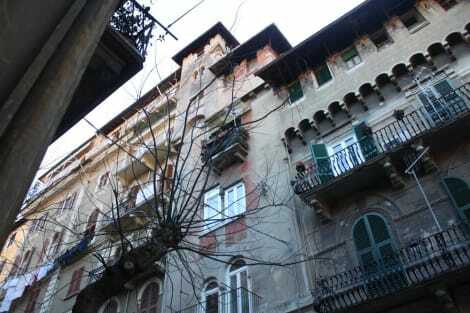 Affittacamere Bella Napoli offers accommodations throughout the area in La Spezia. With a stay at Monteverdi Resort in La Spezia (La Spezia Historic Centre), you'll be steps from Gulf of La Spezia and 3 minutes by foot from Piazza Garibaldi. This golf guesthouse is 15.3 mi (24.6 km) from Vernazza Beach and 18.7 mi (30.1 km) from Monterosso Beach. With a stay at B&B Cernaia 42 in La Spezia (La Spezia Historic Centre), you'll be steps from Gulf of La Spezia and 4 minutes by foot from Castello San Giorgio. 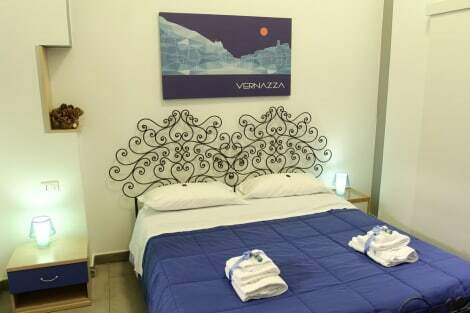 This bed & breakfast is 15.6 mi (25.1 km) from Vernazza Beach and 19 mi (30.6 km) from Monterosso Beach. This smoke-free townhouse accommodation features complimentary parking nearby, discounted parking nearby, and ecotours nearby. Recreational activities include golf lessons nearby, boat tours nearby, and snorkeling nearby. With a stay at Affittacamere Il Grattacielo Sul Golfo in La Spezia (La Spezia Historic Centre), you'll be steps from Gulf of La Spezia and Corso Cavour. This guesthouse is 16.9 mi (27.3 km) from Vernazza Beach and 19.7 mi (31.6 km) from Monterosso Beach. Featured amenities include a computer station, express check-out, and a safe deposit box at the front desk. Self parking (subject to charges) is available onsite. lastminute.com has a fantastic range of hotels in La Spezia, with everything from cheap hotels to luxurious five star accommodation available. We like to live up to our last minute name so remember you can book any one of our excellent La Spezia hotels up until midnight and stay the same night.